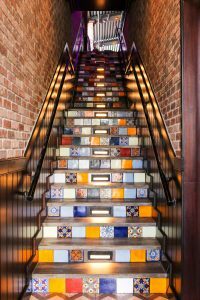 This two-story restaurant on Las Olas Boulevard combines authentic Louisiana recipes with upscale an upscale feel. 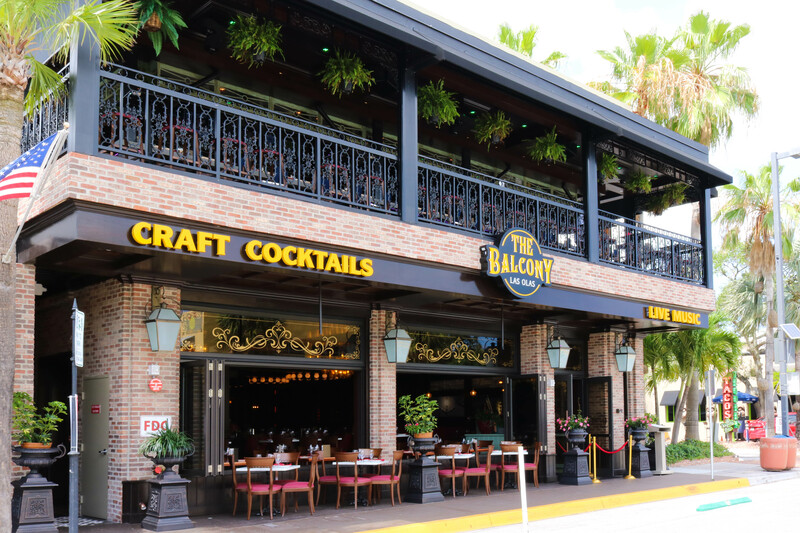 The Balcony on Las Olas brings New Orleans flare to South Florida with new additions to their dinner menu. The expansions to the appetizer portion of the menu include vegetable dumplings with sweet serrano chili sauce and coconut crusted shrimp with sweet mango serrano sauce. 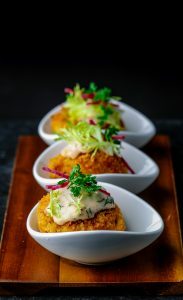 New Orleans jumbo lump crab cakes are also available, made with ‘Holy Trinity’ tartar sauce – a combination of diced onion, bell pepper, and celery commonly found in authentic Louisiana recipes. For a lighter taste, The Balcony introduced a seared Ahi tuna salad with heirloom tomato, cucumber, arugula, and lime dressing available all day as well as pan seared Chilean sea bass with corto poached potatoes and Sicilian ragout on the dinner menu. The restaurant also introduced a new side, glazed sweet potatoes, topped with toasted pecan and marshmallow. 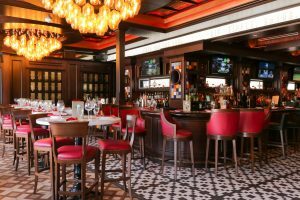 The two-story, three-room restaurant on Las Olas Boulevard offers delicious New Orleans-inspired food and a relaxing, elegant ambiance. From its unique decor to its pleasant music selection, this restaurant is a great place to unwind for a bite and a drink after a day at the office. The first floor and main dining area is comfortable and airy for guests to enjoy a meal with family or friends; the second floor, just up a slender staircase adorned with Spanish tile, hosts both an open-ceiling larger bar and the namesake balcony bar and dining area overlooking Las Olas Boulevard. 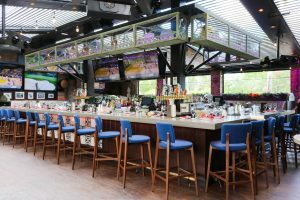 When the weather is nice, the ceilings above the large bar on the second floor retract and the window screens are lowered for a true outdoor dining experience. The Balcony offers happy hour deals Monday through Friday from 4 to 7 p.m., including $1 oysters, half-off cocktails, and half-off bar bites—like fried green tomatoes or natchitoches beef pies. Much like the happy hour menu, the feel of the restaurant during this time of day can’t be beat. 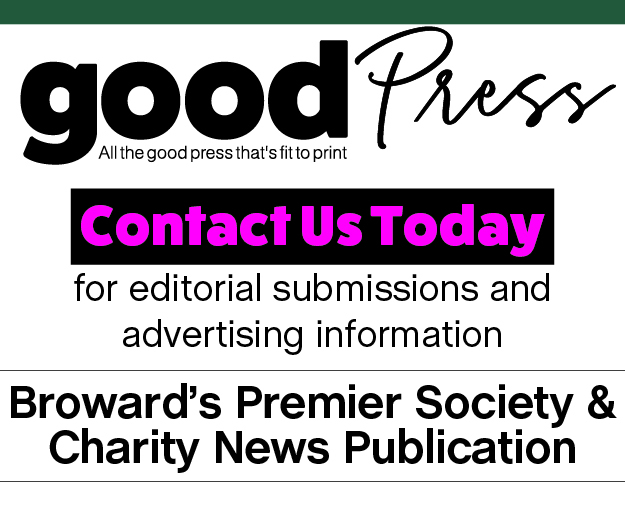 It draws locals from all over Fort Lauderdale, whether they’re looking for a bite to end the day or a drink to start the night. 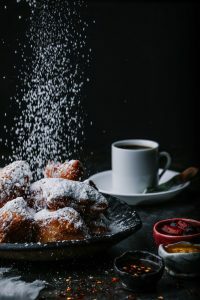 Our personal recommendation at The Balcony is the beignets coated in powdered sugar and served with spiced chocolate sauce, house-made seasonal berry jam, and Valencia orange bourbon marmalade. Starting April 1, The Balcony will be open for dinner Monday through Thursday, lunch and dinner Friday and brunch, lunch and dinner Saturday and Sunday. For information and a full menu, visit thebalconylasolas.com.